Opened in 2014: the new ‘Doornroosje‘. Venue for pop music right next to the railway and bus stations in Nijmegen. 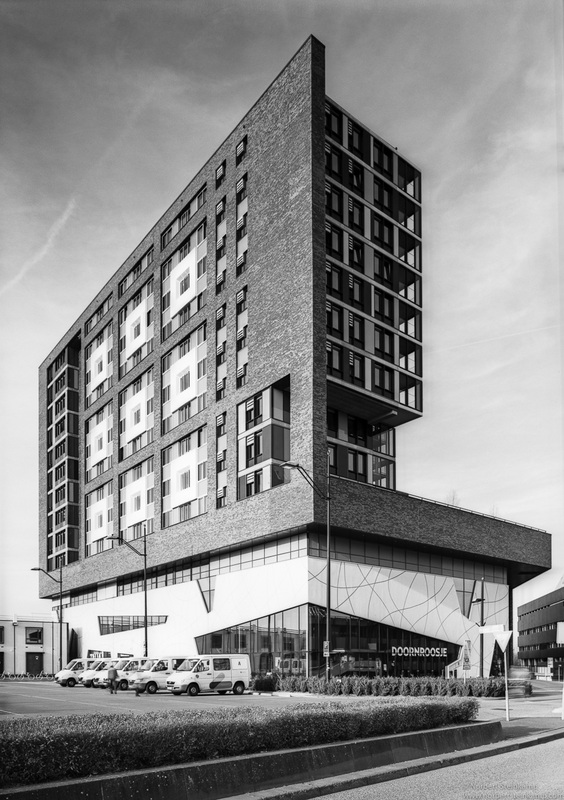 On the upper levels there are 350 student appartments owned by Student Housing Nijmegen and Arnhem. Architect: Jan Dekker of AGS Architects. Contractors: Klok Bouw BV Nijmegen and Ed. Züblin AG Duisburg. Built to order of the City of Nijmegen.